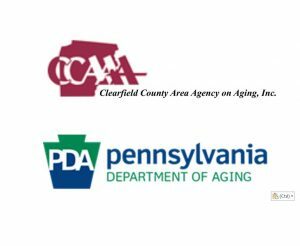 The program is approved by the Administration on Aging (AoA) and National Council on the Aging (NCOA). An award-winning program, “A Matter of Balance” (MOB) acknowledges the risk of falling but emphasizes practical coping strategies to reduce this fear. They include promoting a view of falls and fear of falling as controllable, setting realistic goals for increasing activity, changing the environment to reduce fall risk factors, and promoting exercise to increase strength and balance. The program is designed to benefit community-dwelling older adults who are concerned about falls, have sustained a fall in the past, restrict activities because of concerns about falling, are interested in improving flexibility, balance and strength, and are age 60 or older, ambulatory and able to problem-solve. Classes will be held at the Decatur Village, 65 Irwin Dr., in Philipsburg, beginning on Feb. 28, from 10 a.m. to 12 p.m. The classes run every Thursday for eight weeks. Enrollment is required. Please call 814-765-2696, ext. 312, for more information. Programs and services of the agency are funded in part by the Pennsylvania Department of Aging, the Clearfield County Area Agency on Aging, Inc., Mature Resources Foundation, and local and consumer contributions.